Initiations are cycles of physical or psychological separation, ordeal, and return that we encounter throughout our lives. When we fully integrate the lessons from these experiences, we develop as people and leaders. (See a previous article on initiations) However, if during or upon returning from an initiation cycle, you fail to reflect on the ordeal, you are likely to repeat similar fact patterns with similar people. As a leader, it’s imperative that you learn from these initiatory cycles to become the best person/ leader you can be. 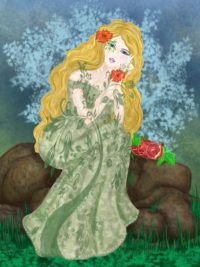 In the story of Persephone’s abduction into the Underworld, she starts the story as a young maiden, known as Kore/Persephone (Kore meaning “young girl”). During her time in the Underworld while separated from her mother Demeter, she knows that if she eats anything there, she will be stuck in the Underworld for eternity. She refused to eat anything while she’s there until Hermes brokers her release. It’s not until she knows she’s going back to her mother that she eats a few pomegranate seeds. When she sets foot back on earth, the world bursts into bloom, and from there on, Persephone is known as the Queen of the Underworld (no longer Kore). Additionally, Homer wrote that Hecate, known for her wisdom, walked before and after her. This can be interpreted to mean that Persephone had wisdom upon her return that she hadn’t had before her abduction/descent. Upon her return, Persephone admits to Demeter that she did indeed eat a few pomegranate seeds. This ties her to the Underworld for eternity. Thereafter, she must return for a few months each year. Like Persephone, when you return from an underworld initiation, you will have ingested and digested “seeds” of new learning and realization that tie you to the experience. With new insights and wisdom from the experience, you can incorporate that wisdom to become a renewed and better leader. What role did I play in that situation? How did I contribute to the difficulty? What was that situation trying to tell me about myself? What is the opportunity for me now? What can I practice or do differently when similar situations happen? There will be more challenges ahead, more initiations, as if each were designed to help you grow as a leader. But if you don’t take time to reflect on the “seeds” you can take away from each initiatory experience, you may stay stuck in the underworld, repeating the same unpleasant pattern. WANT TO USE THIS ARTICLE IN YOUR NEWSLETTER, BLOG OR WEBSITE? You can, as long as you include this information with it: Beth Strathman works with leaders who want to confidently become the leader they are meant to be as they maximize the “people side” of business. Learn more at: firebrandconsultingllc.com. Have you worked for companies with similar undesirable corporate cultures? Have you tended to work with the same type of people who have characteristics that drive you crazy? It might be time to look at these patterns more closely to learn more about yourself. Timeless principles as highlighted in ancient mythologies can help put your experiences into a larger psychological and cosmological context. Doing so, allows you to make sense of your personal experiences and patterns and further your development as a leader. One timeless principle or idea is Underworld initiation. For the ancient Greeks, the Underworld was the domain of the god Hades, who ruled over the souls of the dead. In 6th grade, you probably heard the story of Hades abducting the youthful maiden, Persephone, causing her mother goddess Demeter to stop the plants from growing. Persephone remained with Hades in the Underworld until the god Hermes brokered a deal for her return. But before she left to go back to her mother, Persephone ate a few pomegranate seeds. This meant she had to return to the Underworld from then on for a few months of each year. This accounted for the reason for the seasons. 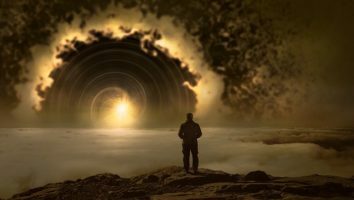 The psychological interpretation of Persephone’s experience in the Underworld by Carl Jung and others gives a broad framework to use as a leadership self-reflection tool: initiation. You might think of initiation as a ceremony that marks entrance into a life stage or a group, like baptism or joining a sorority. However, you go through many initiations throughout your life, large and small, whether or not you celebrate them. In fact, you undergo psychological initiations throughout your life during challenging or difficult incidents and new life phases that test or stretch your limits. As with the ceremonial initiations you celebrate, these psychological “underworld” initiations have 3 main phases: departure, ordeal, and return/reintegration. During departure, you either willingly or unwillingly find yourself in a situation where you experience a change in yourself or your circumstances. Next, you go through an “ordeal” within this new situation that differs from what has been “normal” for you thus far. The ordeal can be anywhere from mildly irritating to downright awful. Eventually, things return to normal or get “better”, giving you the opportunity to reflect on where you’ve been, reintegrate yourself using lessons from the “ordeal”. As an example, you may have worked with someone who was challenging. Your interactions with this challenging person represent a separation from what you usually experience (getting along with most people) and an entrance into a different “world” (of bad relationship). Next, with this challenging person, there is probably at least one aspect that makes the relationship hard, or an ordeal, so your usual ways of relating don’t work. You might feel frustrated or irritated or some other negative emotion while in the ordeal. At some point, the ordeal of this relationship ends, and you return to a more “normal” circumstance, whether or not that person remains part of your experience. The beauty of these “underworld” initiations is that they offer you an opportunity for self-reflection. Through this opportunity, you can examine and learn more about yourself, and use that to decide who you really want to be as a leader. What recent or notable “initiations” have you experienced? Read a related article for ways to gain insights from such experiences.